I know what you're thinking. If a vacuum is $19 then it's probably a POS. Well you're wrong! 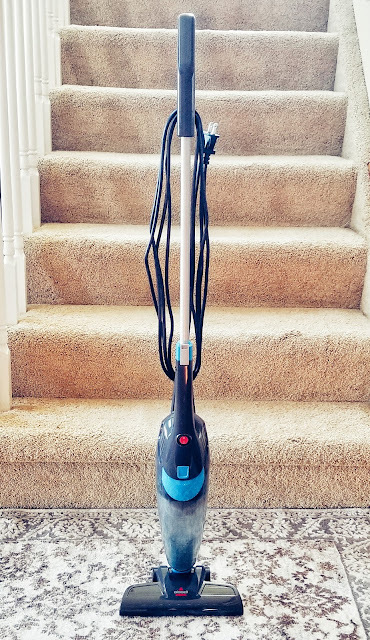 This vacuum I saw floating around a lot of people's posts (over 900 positive reviews of it) so I decided to buy it myself and try it. OMG. 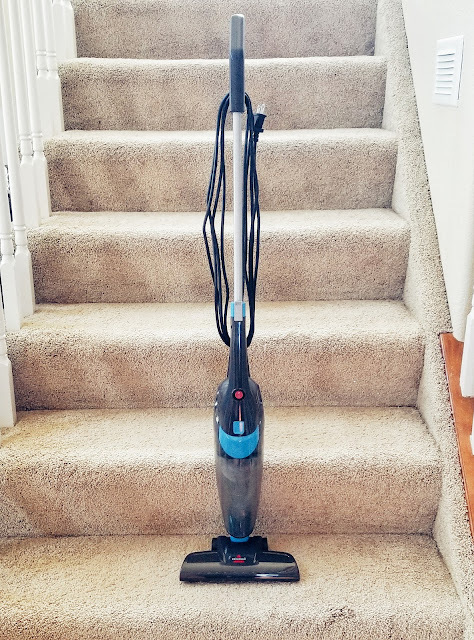 It's probably the best $19 vacuum you will buy. Now, it's not something to use for deep cleaning carpets or vacuuming your whole house (if you have thick carpets), but it is good for kitchen floors (tiles or hardwood) or cleaning your car or spot cleans (spot vacuuming? Is that a word?). Click the picture to shop this vacuum! The filter is a small white thick mesh material that is super easy to clean. I ran it under a little bit of soap and water after about 15 vacuumings and left it dry overnight and it was as good as new the next day! I did this after vacuuming my car because of the dirt and dust it had collected in there. You do not need to buy a new filter because you can just wash the one that's already in there! Although if you wanted to, they do sell them (click here). Now, as a disclaimer - this vacuum is not for deep cleaning or your everyday house vacuuming if you have thick carpet. I tried to vacuum a little room and it took forever, it was difficult, and it didn't really pick up everything off the thick carpet. I wouldn't recommend this for thicker carpet, but would recommend more for thin carpet or hardwood/tile floors. If you have thin carpet, this would work GREAT! I even vacuumed our basement (we have thin carpeting there) and it picked up A LOT of dirt and dust. I think it would be great for college students in dorm rooms - it's easy to use and store. If you have a small apartment or hardwood mostly throughout your house, this would be perfect to use! If I had to give a rating, I would give it 5/5 stars!